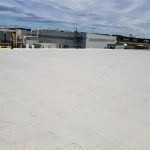 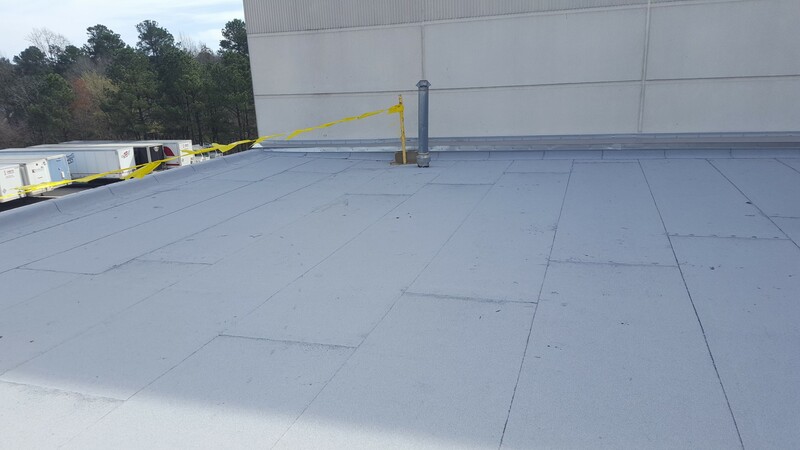 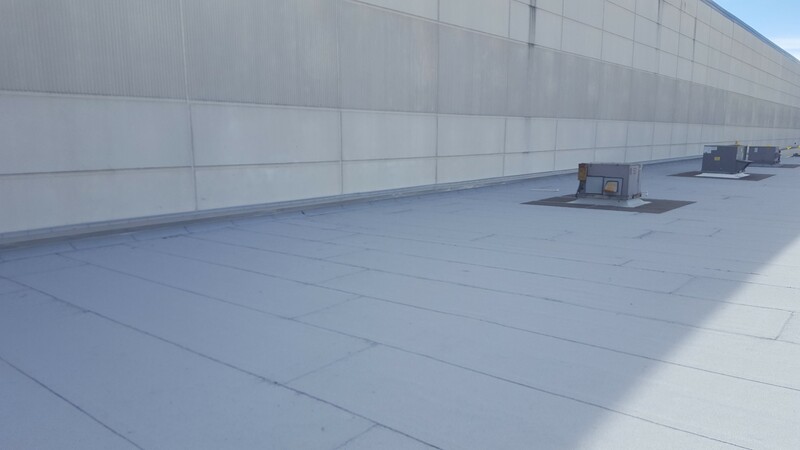 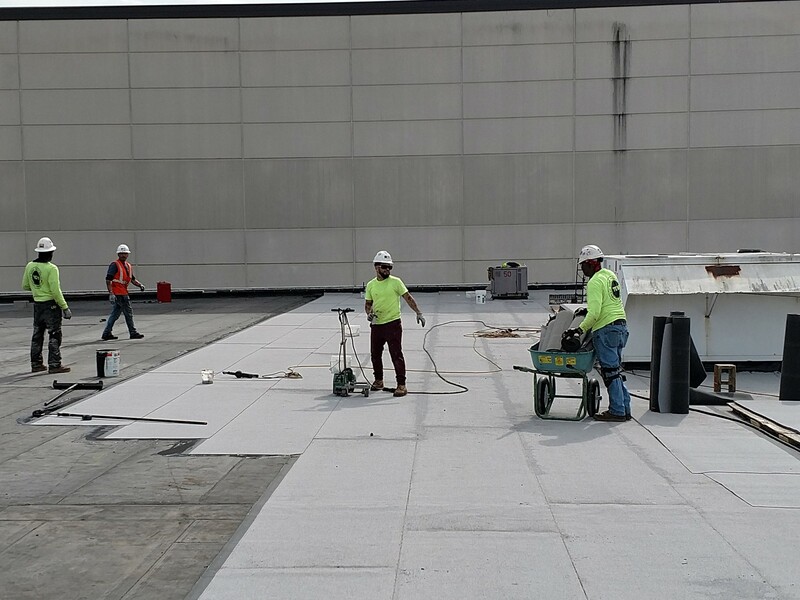 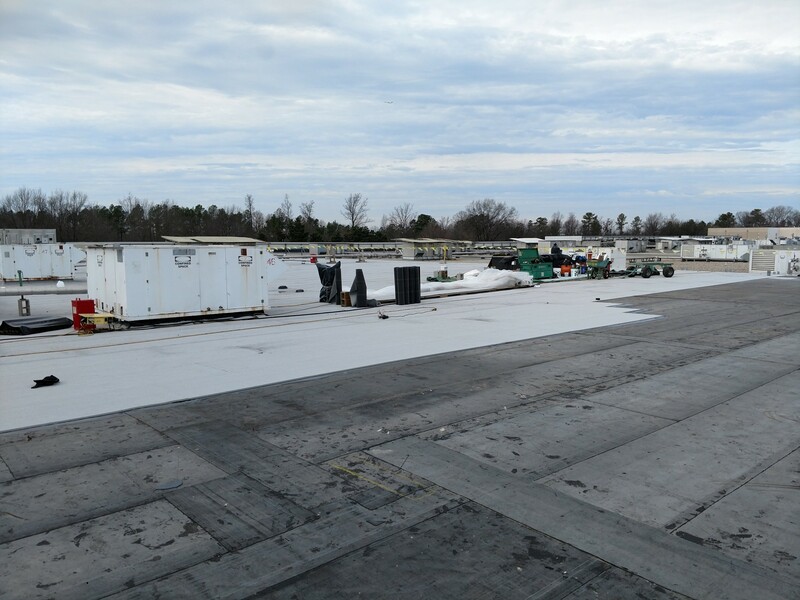 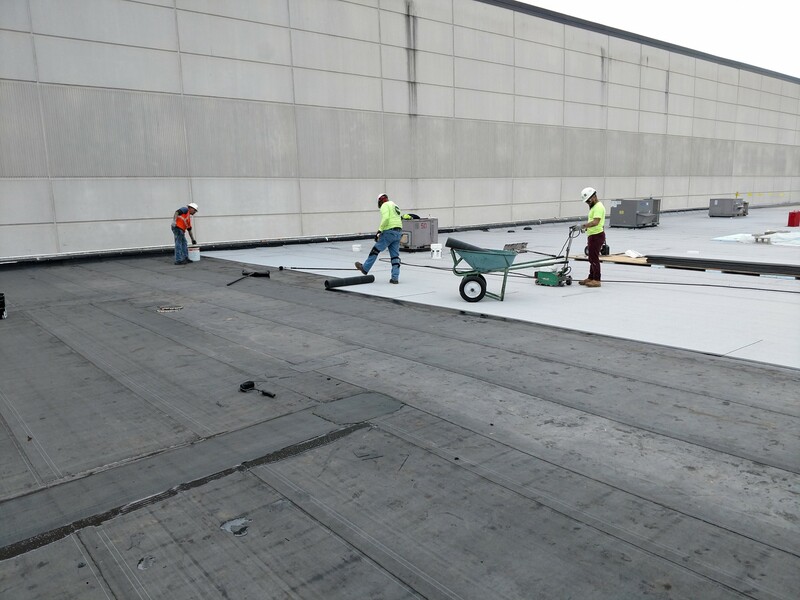 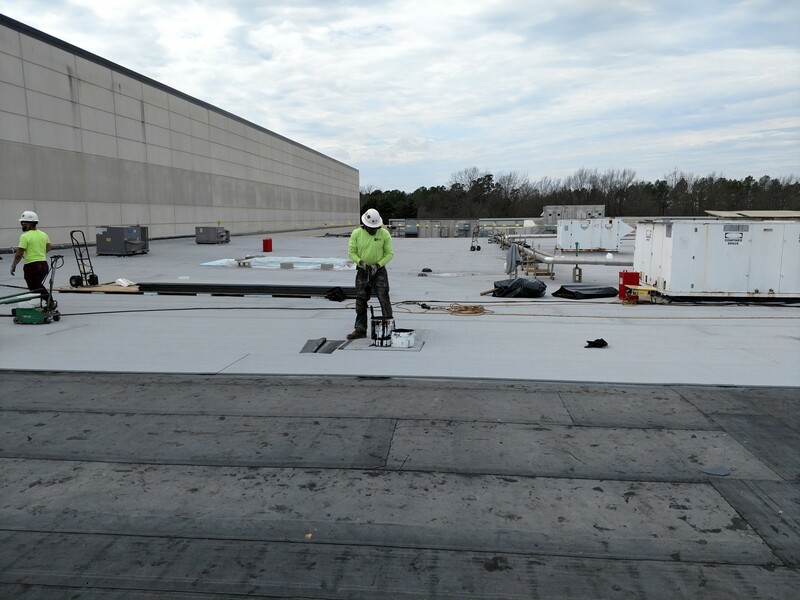 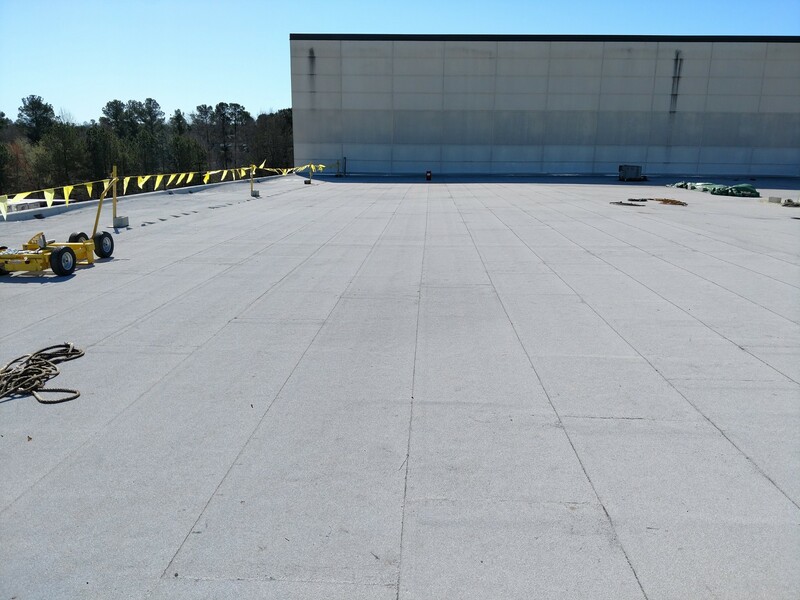 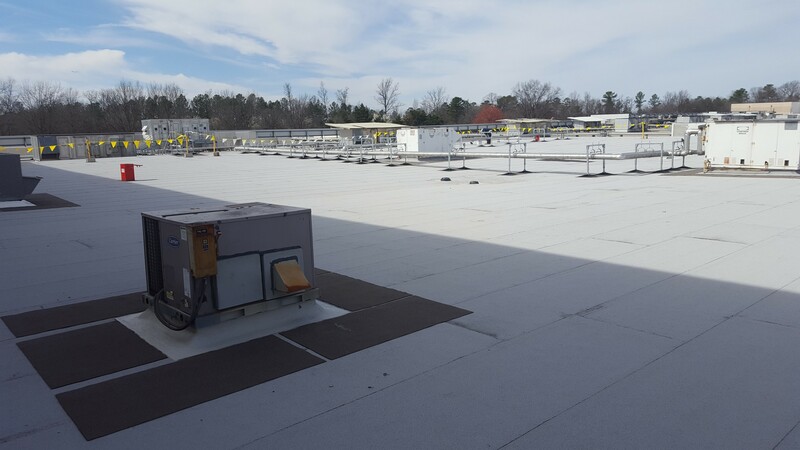 Kellogg Roof Areas 2 & 11 - Evans Roofing Company, Inc.Evans Roofing Company, Inc.
Project Info: Removed ballast and existing EPDM roofing system down to existing metal deck. 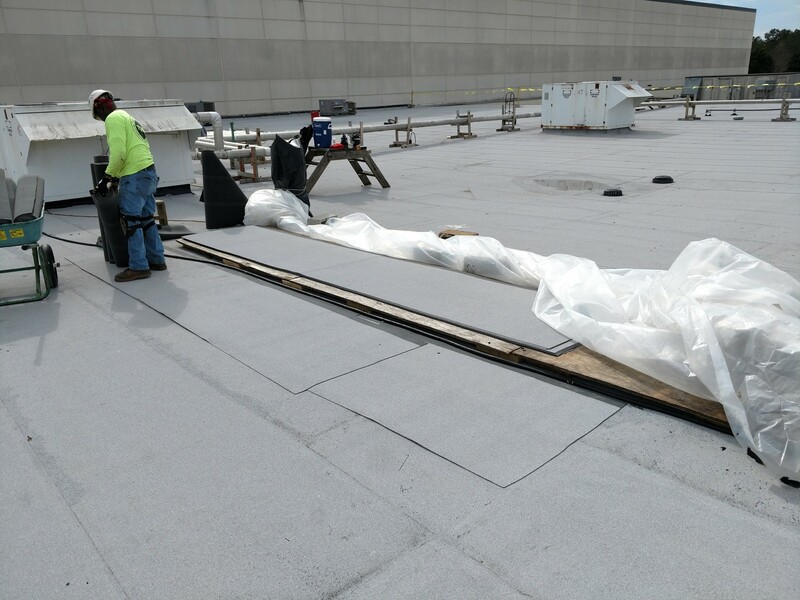 Mechanically fasten new 2.2” ISO and adhere another layer of ISO followed by adhered DensDeck cover board. 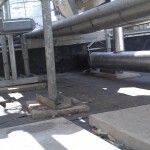 Then adhere base sheet and adhere cap sheet over new system.